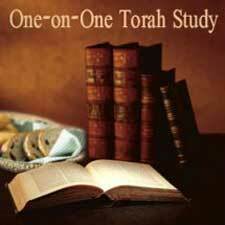 Study Torah in your office, home or on the phone! Want to learn but can't make it to class? We'll bring the class to you! Simply tell us what you'd like to study and we'll have a capable educator visit you to pursue the Jewish subject of your choice. Whether it's Aleph Bet, Talmud, the weekly Torah Portion, or Kabbalah - you name it and we'll make arrangements to have it taught in your office, home or on the phone. Please call us at 561-649-8468 to make an appointment!